Aurora News: Sansha fleets raiding deep space facilities! 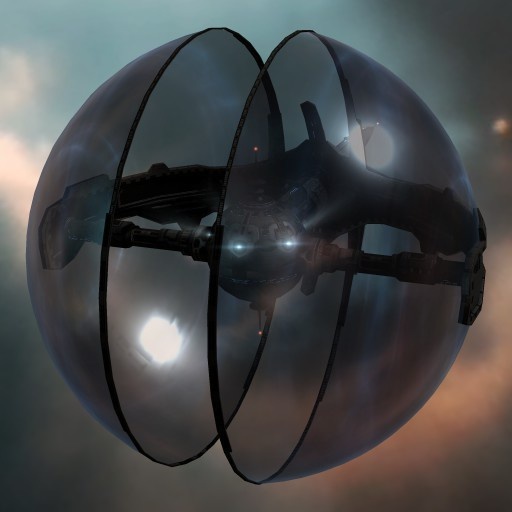 For years, Sansha's Nation has been launching large scale invasions across the cluster in an attempt to bring capsuleers to their knees, so far, without success. This week, an emergency call was received from one of these deep space facilities being under attack by Sansha raiders. I immediately undocked my Paladin Marauder *Last Light* in order to defend the facility. However on arrival, it turns out it was too late... The resort & habitation modules were all empty, it's inhabitants taken away by the Nation strike force. Determined to save them from whatever bleak future awaits them in Nation, I scanned the system, hoping to pin down their local raiding spot, before they returned home. Quickly, the scanner found a concentration of Nation ships! This might be it! Warping to the location, I'm confronted with a small raiding taskforce, guarding a prison facility! As they noticed my arrival, a barrage of laser-fire is unleashed, decimating my shields! Luckily, the Paladin Marauder is more renowned for it's sturdy armor layout, glowing golden as the repair nanites tirelessly work on to repair any damage caused by these Sansha lasers. As the Nation ships continue to barrage my ship, I retaliate, scorching their ships to crisp with a single barrage. The small Nation task force proves to be a minimal threat and so the fight ended, with a field of wrecked Sansha ships. Now changing focus on the unguarded prison camp, scanners pick up lifesigns but are unable to tell if they've been tampered with by Sansha technology. As the captured civilians are freed from this detention facility, they have to be placed in an isolated & secured area of the ship, in case they've been infected with Sansha nanites... Once they're all safe aboard, my Paladin sets course towards the Arcology, in order to help these people & cleanse them from any possible Sansha nanites in one of our specialized facilities. In total 49 Captured Civilians have been saved from a gruesome future within Sansha's Nation!